The right to liberty is one of the pillars of human rights. International Law -- most significantly, the Geneva Conventions and International Covenant on Civil and Political Rights -- states, unequivocally, that imprisonment without opportunity for appeal is a breach of the fundamental principles of justice. However, the Israeli occupation has detained Palestinians without charge or trial for years, and attempted to legitimise the practice with the adoption of the Internment of Unlawful Combatants Law, in 2002. Because the law allows detainees to be held as long as actions labeled as “hostilities against Israel” continue, the government can imprison individuals for an unlimited period of time without trial. Since the occupation of Palestinian territories, the Israeli government shows no sign of being willing to negotiate a mutually acceptable end. In fact, although Israel ratified the International Covenant on Civil and Political Rights, it simultaneously stipulated that, from the time of its founding in 1948, it has been in a state of emergency that justifies exceptions. Israel’s Unlawful Combatants Law was conceived to enable the state to circumvent a ruling of its Supreme Court, in 2000, which ruled illegal the detention of Lebanese men held hostage for more than a decade. Just prior to Israel’s 2008/09 offensive on Gaza, more than 900 Palestinians from the Gaza Strip were detained in Israeli prisons, serving sentences for “security” offences and deprived of family visits. During and after the attack, 14 Gazans were detained in Israeli prisons under the Unlawful Combatants Law, with an additional four held even after completing jail sentences. Numerous cases highlight Israel’s use of the law to detain Palestinian citizens who -- contrary to Israeli charges of “terrorist affiliations” -- have merely been helped by Hamas-sponsored social programs. However, the international community bears responsibility along with the government of Israel. Under international law, when a state is unwilling to protect human rights, the global community is charged with preventing continuing violations. The International Covenant on Economic, Social and Cultural Rights states that each signatory is legally obligated to protect the rights of “everyone” using “international assistance and cooperation”. The international community is, therefore, responsible not only for holding human rights violators accountable, but also for ensuring that violations do not continue. Three specific laws allow Israel to hold Palestinians indefinitely without trial: the Order Regarding Administrative Detention, which is part of the military legislation governing the West Bank, the Emergency Powers (Detentions) Law, which applies in Israel, and the Internment of Unlawful Combatants Law. Israel relied upon the first two laws for many years. The Unlawful Combatants Law was adopted in 2002 -- initially to allow the government to imprison Lebanese nationals for use as “bargaining chips” during negotiations for the release of Israeli prisoners of war. Today, however, Israel uses the statute to detain Palestinians. All detainees held under the law are automatically assumed to be a security threat and can be held without charge or trial as long as the hostilities against Israel continue. In other words, the law licenses the military to hold individuals arbitrarily and indefinitely, on the basis of assumption rather than proven guilt. It is left to the detainee to show that he or she does not endanger state security, contrary to the fundamental principle that a person is innocent until proved otherwise. However, such proof is virtually impossible, considering that the vast majority of the material used to support the charges against the person “privileged”, giving him or her no opportunity to examine the evidence against him. The legislation, as well as an amendment passed in 2008, does somewhat regulate the conditions of the internment. For example, within 14 days of being detained, the prisoner must be brought before a district court to determine whether he or she is an unlawful combatant. However, in practice, this requirement is often ignored. During the 2008/09 offensive within Gaza, Israeli soldiers ordered most of their prisoners to stay in their homes for days to weeks. When they were later taken to Israel, this period was not included in their official detention time. In addition, a high-ranking military officer or judge can -- if they consider state or public security to be at stake -- prohibit attorney meetings for 10 to 21 days, respectively. 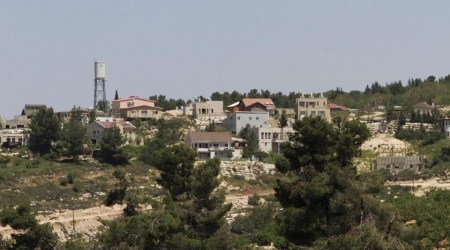 Detainees who are given the status of unlawful combatant must be re-evaluated every six months by a district court judge, the Shin Bet and the military. In 2008, two Gazans detained in Israel for allegedly providing support to Hezbollah challenged the law in the Israeli Supreme Court. However, the court found that the purpose of the law is “worthy and based on the public’s need, which may justify violating personal freedoms”. Cases such as that of Hamid Al Attar demonstrate otherwise. According to Al Mezan, Al Attar, a 29-year-old, half-blind teacher at the Al-Nour wa Amal (“Light and Hope”) school for the blind, was arrested on 4 January 2009. During the court proceedings, the prosecution’s only evidence in support of his detainment was that the school, at which he worked as a teaching assistant for five months, is government-run and his salary, therefore, must come from the Hamas-led government. He was ruled to be an unlawful combatant on March 5 of that year and is still being detained. In the court’s decision, the judge stated that he was convinced the young man had been in “contact with senior activists from Hamas”, although no such evidence had been presented. Al Mezan also cites the case of Hamouda Abu Oun as an example of the illegal, retroactive application of the law. Abu Oun completed a sentence of 5.5 years for being a member of the PLFP. As his release date neared, he was told that he would not be allowed to leave unless his family paid a fine of NIS 15,000. Two days before his scheduled release, his family paid the penalty and stood waiting to greet the young man for eight hours at the Erez passage from Gaza into Israel. At 4 p.m., on 21 January 2009, they were informed that he had not been released because he was now being held under the Unlawful Combatants Law. The fine was not returned. The Palestinian Public Opinion Poll no. 48 conducted by the Center for Opinion Polls and Survey Studies at An-Najah National University during the period from 18-20 April 2014. The University sponsors all polls conducted by its Center. This poll undertakes the Palestinian public opinion on the new political realities on the Palestinian ground including the Palestinian Israeli negotiations, Prof. Rami Hamdallah's government, the possibility of conducting presidential, legislative and local council elections in addition to the political affiliations of Palestinian people. The sample included 1360 persons whose age group is 18 and above and who have the right to vote. The enclosed questionnaire was distributed on 860 persons from the West Bank and 500 persons from the Gaza Strip. The sample was drawn randomly and the margin of error is about ±3%; still 1.91% of the members of the sample refused to answer the questionnaire. • 65.4% of respondents expected the return of Palestinians and Israelis to negotiations under American auspices; 27.1% expected the opposite. • 87.9% of respondents expected the failure of negotiations if they are extended until the end of this year; 21.6% expected them to succeed. • 64.2% of respondents expected Israel to release the last group of prisoners who were supposed to be released at the end of March; 27.8% expected the opposite. • 51.6% of respondents supported continuing negotiations if Israel releases the last group of prisoners; 44.7% rejected. • 79.6% of respondents supported the Palestinian Authority's decision to join international organizations. • 71% of respondents supported the Palestinian Authority's decision to proceed in joining international organizations even if Israel releases the last group of prisoners. • 75.5% of respondents saw that the Israeli side is responsible for stopping negotiations; 5.5% saw that it is the Palestinian side. • 63.5% of respondents expected the USA to intervene and to exert pressure on some sides to lead the negotiation to a successful end. • From among respondents who supported an intervention by the USA to exert pressure on some sides to lead these negotiations to a successful end, 60.8% expected the pressure to be exerted on the Palestinian side; 13.9% expected it to be exerted on the Israeli side while 24.3% expected it to be on both sides. • 25.9% of respondents saw that the USA is serious this time in leading the negotiations between the Palestinians and the Israelis to a successful end. • 11.1% of respondents considered the US an honest arbitrator between the two sides of conflict. • 88% of respondents looked at the US policy towards the Palestinian issue as generally biased towards the Israeli side; 2.6% said that it is biased towards the Palestinian side while 6% said that it is neutral. • 68.1% of respondents supported adding other countries to the auspices of the negotiations besides the United States. • 76.1% of respondents expected Israel to impose economic sanctions on the Palestinian Authority if negotiations fail. • 80.4% of respondents supported conducting a referendum among Palestinians before signing any peace agreement with Israel; 14.2% rejected. • 37.9% of respondents supported reaching a provisional agreement similar to that of the Oslo Accord as a result of these negotiations; 54.1% rejected. • 50.7% of respondents supported the two-state solution provided that there will be a Palestinian state living side by side with Israel; 45.2% rejected. • 62.9% of respondents expected the outbreak of a third intifada (uprising) in the West Bank in case the current peace negotiations fail. • 42.9% of respondents supported the rise of an armed uprising (intifada) in the West Bank; 51.5% rejected. • 56% of respondents supported the rise of a nonviolent, unarmed popular uprising (intifada); 37.4% rejected. • 33.3% of respondents supported dissolving the Palestinian Authority in case the current peace negotiations fail; 59.3% rejected. • 49.2% of respondents said that they are optimistic towards implementing the Palestinian reconciliation agreement in the near future; 46% said they are pessimistic. • 64.2% of respondents believed that the surrounding Arab and international circumstances necessitate conducting a national reconciliation between Fateh and Hamas. • 54.6% of respondents believed that Prof. Hamdallah's government is capable of managing people's affairs in the West Bank if Israel imposes economic sanctions on the Palestinian Authority; 31.1% expected the opposite. 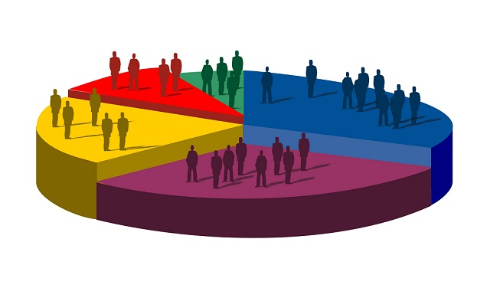 • 57.3% of respondents expected the fall of the PA in case enough funds become unavailable. • 66.2% of respondents saw that Prof. Hamdallah's government is more capable of managing the internal Palestinian affairs while 17.1% saw that Ismail Haniyeh's government is more capable. • 76.6% of respondents assessed the performance of Prof. Hamdallah's governments as "good". • 31.7% of respondents assessed the performance of Ismail Haniyeh's governments as "good". • 80.1% of respondents supported conducting the coming presidential elections after ending the division; 12.8% supported conducting them despite division. • 80.4% of respondents supported conducting the coming legislative elections after ending the division; 12.4% supported conducting them despite division. • 44.6% of respondents expected that if elections are conducted in the present time in the Palestinian Territories, they will be fair. • 80.9% of respondents said that they will participate in the coming presidential elections. From among those who said they will participate, 35.2% said that they will give their votes to Fateh's candidate; 11.7% said they will give their votes to Hamas' candidate. • 80.2% of respondents said that they will participate in the coming legislative elections. From among those who said they will participate, 35.7% said that they will give their votes to Fateh's candidates; 12.2% said they will give their votes to Hamas' candidates. • If PLC elections are to be conducted, 44% of respondents expected the winning of Fateh movement; 14.2% expected the winning of Hamas. • 83% of respondents said that they will participate in the coming municipality and local council elections. From among those who said they will participate, 30.6% said that they will give their votes to Fateh's candidates, 10.7% said they will give their votes to Hamas' candidates and 10.3% said they will give their votes to the representative of their family or clan. • In case PLC elections will be conducted, 31.5% of respondents preferred conducting elections on the basis of electoral lists; 28.9% preferred conducting them on the basis of persons. • 30% of respondents preferred conducting local council and municipality elections on the basis of electoral lists; 33% preferred conducting them on the basis of persons. • 34.4% of respondents said that the current political, security and economic circumstances compel them to desire emigrating. • 50.1% of respondents expressed fear for their lives under the present circumstances. • 62.3% of respondents said that they are pessimistic of the general Palestinian situation at this stage. • 74.1% of respondents said that they neither feel safe for themselves nor for their families and properties under the current circumstances. 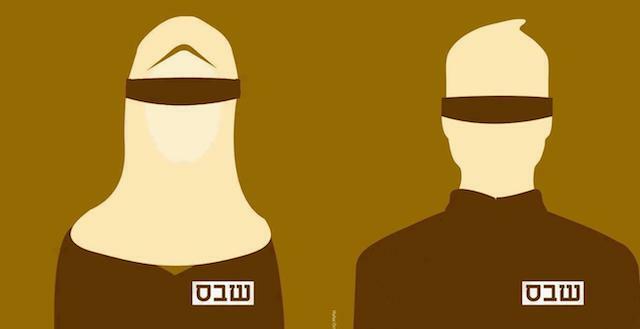 Ahrar Center for Prisoners' Studies has revealed that 20 Palestinian female detainees, held in Hasharon prison, suffer very poor detention conditions. 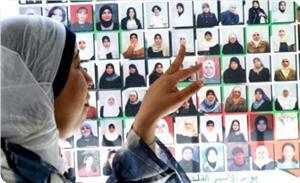 Fouad Khuffash, director of the Center, said that Israeli prison administration has imposed harsh penalties against Palestinian female detainees including banning family visits and personal needs and clothes. Most of female detainees' trials are usually postponed more than once, while many of them suffer several health problems due to Israeli deliberate medical negligence, he added. Israeli administration deliberately prevents the entry of items that may ease their suffering, leading to a permanent state of tension among the female detainees, Khuffash said. Israelis: Six cases, or 11 percent. Israel continues its aggression against Palestinian children in the occupied territories, despite calls to end the ill-treatment of minors during and after arrests, Press TV reports. Tel Aviv said in February that it would implement a pilot program that relies on written summons instead of arresting Palestinian children at their homes at nights. The plan came in response to repeated calls by the United Nations and international human rights organizations to stop the night arrests of Palestinian children. However, the Palestinian section of an international child rights organization said the plan has failed to put an end to the violence against Palestinian children. Defense for Children International Palestine (DCI-Palestine) said it recorded six cases in February involving children who had been summoned for questioning and who had been subjected to ill-treatment and torture while in Israeli military detention. They were summoned either by written notification delivered by Israeli forces in a night raid or by telephone calls from intelligence officers. The children, all from Beita village in the occupied West Bank, reported to an interrogation facility and were promptly taken into jail while were denied access to a lawyer or a family member. “In the previous two months, the DCI has documented cases of children who were summoned by Israeli army through phone calls or through handing invitations to their parents during night raids. Although they have introduced this new way, they are still using old tactics including ill-treatment, beating and torture of the children,” Ayed Abu Eqtaish, the Accountability Program Director at DCI-Palestine, told Press TV. Palestinian children are mainly arrested for taking part in demonstrations against the Israeli occupation and Tel Aviv’s aggressions against Palestinians. According to the DCI-Palestine, three in four children held in custody by Israeli forces in the West Bank last year endured physical violence during arrest, transfer or interrogation. The right of children and youth to education, including those who are imprisoned, is enshrined in inter- national human rights law, specifically Article 26 of the Universal Declaration of Human Rights and Article 94 of the 1949 Fourth Geneva Convention. and detainees' right to education has been severely constricted, if not prohibited altogether. That includes children and youth, of whom the Israeli military arrests 700 annually. Although its regulations not only recognise the right of prisoners to pursue their education but also require it to provide the necessary books and the opportunity to study or take exams, this basic human right has been undermined at every opportunity. The goal, concludes Addameer (a prisoner and human rights support association), is to "un-educate" Palestinians -- especially those aged 16-18 who "constitute the pillar of community development." According to the April 2009 report of the United Nations' Special Rapporteur on the Right to Education, Vernor Muñoz: "Learning in prison through educational programmes is generally considered to have an impact on recidivism, reintegration and, more specifically, employment outcomes upon release. Education is, however, much more than a tool for change; it is an imperative in its own right. Yet, prisoners face significant educational challenges owing to a range of environmental, social, organisational and individual factors." Prisoners' right to education is guaranteed in international law. In addition to Article 26 of the Universal Declaration of Human Rights and Article 94 of the Fourth Geneva Convention, the Basic Principles for the Treatment of Prisoners – a resolution adopted by the UN in 1990 – states that people in prisons retain the human rights and fundamental freedoms set out in the Universal Declaration of Human Rights, including the "right to take part in cultural activities and education aimed at the full development of the human personality." For children in particular, the right to education is widely considered a fundamental right. Thus, in territories under foreign military occupation, the occupying power is obliged to protect and respect the right to education, as noted in the United Nations Convention on the Rights of the Child (CRC). A "child" is defined as anyone less than 18 years of age. Israeli juvenile offenders are allowed to complete formal education from grade 8 to 12. For example, in the Ofek facility for Israeli juvenile offenders, there is a school with 19 classrooms in which no more than 10 students study at a time. The children there have the opportunity to follow a curriculum specially designed for them by the Israeli Ministry of Education, which includes four hours of class a day combined with educational workshops and work. Similarly, they have access to 33 teachers employed by the Israel Association of Community Centres on a permanent basis. At the end of a 12-week trimester, prisoners take exams and their grades are then certified by the Israeli Ministry of Education. In contrast, since the beginning of Israel's occupation of the West Bank and Gaza Strip in 1967, the Israeli government has deprived Palestinian prisoners and detainees of their right to education. Children are penalised as well as adults, in part due to the fact that the military orders state that any Palestinian aged 16 and above is considered an adult. All Palestinian children between the ages of 16 to 18 are detained together with adult Palestinian detainees, and thus are often deprived of the opportunity to continue their education. In 1997, a coalition of prisoner advocates submitted a petition to the Tel Aviv Central Court demand- ing that Palestinians' right to education be upheld just as for Israeli juvenile offenders. Although the court ruled that Palestinian prisoners are entitled to the same rights to education as Israelis, it also stated that the right to education was contingent on "security requirements." Thus, the impact in practice has been minimal. For example, although Palestinian prisoners can receive books via the ICRC and their families during visits, such visits are frequently banned. In addition, restrictions are imposed on the kinds and number of books they are allowed to receive. They can get newspapers in Arabic, such as Alquds, free of charge, but other newspapers, in Hebrew or English, are distributed only to those with a subscription. Plus, the newspapers are always distributed after a delay and are not up to date. Palestinian prisoners in Israeli prisons are allowed to study only at the Open University of Israel. They may not continue their studies at any institution they studied at prior to their arrest, even if the university approves. A years-long struggle to change this practice has been unsuccessful. The IPS claims that prisoners are barred from participating in study programs of Arab universities for security reasons. Many prisoners are unable to register at Israeli universities because of financial and language restrictions. In addition, detainees being held at military detention centres, as opposed to prisons, are prohibited from registering at any university. Prisoners who are held in isolation are also not al- lowed to study even at the Open University of Israel. The list of forbidden specialisations includes natural science, medicine, computer science, physics, chemistry and any program that requires the use of other supplies besides text books. Even at times of exams, teachers are prohibited from entering prisons to formally instruct inmates. Similarly, prisoners are prohibited from communicating with Palestinian teachers and schools through other means such as phones, letters or visits. Recently, exams themselves have been prohibited. For example, in 2011, more than 300 Palestinian prisoners were excluded for the third consecutive year from taking their secondary school exams – required to graduate and go to college. 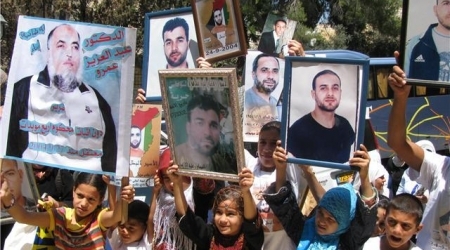 According to the Palestinian Prisoners Centre, Israeli personnel at the jails also seized books and academic papers delivered to prisoners through the Inter- national Red Cross, and announced that prisoners would be prohibited from applying to Arab and Palestinian universities. In protest, the prisoners declared a hunger strike. In 2009, when secondary exams were first prohibited, the Palestinian Authority's Minister of Prisoners and Ex-Detainees, Issa Qaraqi, appealed to the Israeli Supreme Court of Justice to reverse the decision. However, the court postponed the hearing on the suit, and it has not been discussed since. The most recent decision to ban the exams came in the wake of Israeli Prime Minister Benjamin Netanyahu's declaration that Israel had the right to reduce the "advantages" granted to Palestinian prisoners in Israeli jails. It was reportedly an attempt to pressure the Hamas government in the Gaza Strip to free Israeli soldier Gilad Shalit, who was captured by Palestinian militants in a raid on an Israeli army border position in 2006. "Members of the prisoners' movement came up with ingenious ways of smuggling books into Israeli prisons, methods that Israeli prison guards were never able to discover. The movement systematically organised workshops, seminars, and courses held inside the prison to educate prisoners' on every relevant topic one can imagine. Every day, the prisoner holding the position of 'librarian' would pass through the different cells and sections, and prisoners would exchange the book they had just finished for the one they were about to begin. The librarian carried the 'library book, a record of the books available in the library, and a list of the books each prisoner had requested. "Talking about this reminds me of one of the most memorable prison library moments. We had found out that the movement had managed to smuggle Ghassan Kanafani's Men in the Sun into the old Nablus prison. We all raced to get our names on the list of people wanting to read the book, and the wait lasted weeks! Several times, we resorted to making copies of sought-after books like this. Of course, copies were done with pen and paper, and I remember copying Naji Aloush's The Palestinian National Movement of which we made five hand- written copies." Addameer states: "Arguably some form of education, however informal or unstructured it might be, is more beneficial to the mental health of a detainee than no education at all. At the same time, such an arrangement does not absolve Israel from its obligations under international law, whereby educa- tion should be made available for all juvenile detainees." There are three types of Palestinian juvenile political detainees at Telmond: youth who are illegally imprisoned with juvenile Israelis confined for criminal reasons, those who were detained before the 1997 court decision that upheld their right to education (at least on paper), and a new section for detainees imprisoned after that court decision. The first group is treated in the same way as Israeli criminal detainees; they receive education in Hebrew (a language they typically do not understand), using the Israeli curricula. The second group is taught using a curriculum that includes only three out of the eight subjects required by the Palestinian Ministry of Education. The third group receives no education whatsoever. Thus, it is evident that the 1997 court decision that was supposed to ensure education for detained Palestinian children has been completely ignored. Palestinian children who are 16 or older at the time of their sentencing are detained in Megiddo Prison. Because Israeli Military Order No. 132 defines any Palestinian 16 and over as an adult, the Military Authority that runs Megiddo Prison refuses to recognise the educational needs of children detained there. The only form of education available is ad-hoc study groups where adult prisoners teach juvenile detainees. The attorney for Defence of Children International also reports that the prison administration severely restricts the movement of books into the prison. It is difficult for child prisoners to return to school following release from prison. This is due to a variety of factors, including the trauma of detention, the differences in age between ex-prisoners and other school children, and the inadequate or non-existent educational services provided by the prison administrations, which results in ex-prisoners falling behind in the educational process. Thus, youth are denied both childhood because of life in prison, and a decent future, because of the difficulties in acclimating once released. - The Right to Education of Palestinian Prisoners. Addameer Prisioner Support and Human Rights As- sociation. December 2008. - The systematic and institutionalized ill-treatment and torture of Palestinian children by Israeli au- thorities. Defense for Chidren International-Palestine Section. June 2009. http://www.dci-pal.org/ english/pub/research/CPReport.pdf. - Promotion and Protection of Human Rights and Civil, Political, Economic, Social and Cultural Rights, Including the Right to Development: The right to education of persons in detention. Report of the Special Rapporteur on the Right to Education Vernor Muñoz. April 2009. - The Prison as University: The Palestinian Prisoners' Movement and National Education, by Khaled Al-Azraq. www.badil.org. Autumn 2009. - Israeli Prison Education: Learning the Lessons of Institutionalized Racism (fact sheet). Defense for Children International-Palestine Section. The number of Palestinian prisoners from Jerusalem reached 294, Committee of Prisoners’ Families said. The committee pointed out that 36 of Jerusalemite prisoners are serving life sentences. Two prisoners served more than 20 years. 37 children under the age of 18 and three women are still imprisoned. Dean of Jerusalemite prisoners Samir Abu Ne’ma was sentenced a life imprisonment and served 28 years. The eldest prisoner is MP Mohammed Abu Tair who served more than 30 years while the youngest is Laith al-Husainy,14, who was sentenced for nine months. The committee added that prisoner Wael Qasem,43, is serving the highest sentence of 35 life imprisonments. He served 12 years of them. Prisoner Murad Nemr, 29, serving 10-year-sentence, has been in isolation since nine months. 53 patient prisoners and two MPs, Ahmed Atton and Muhammd Abu Tair, are still behind bars. Since 1967, when Israel occupied the West Bank, Gaza Strip and East Jerusalem, more than 650,000 Palestinians have been detained by Israel. This represents approximately 20% of the total population in the Occupied Palestinian Territories , and 40% of all males. There are an estimated 5220 Palestinian prisoners being held in Israel, of which 10 are members of the Palestinian Legislative Council (PLC).